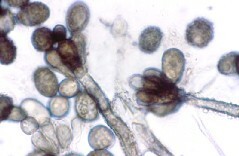 Stachybotrys is a soil fungus in the natural environment. 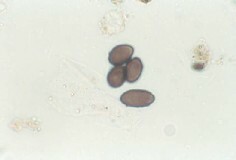 Commonly found indoors on wet materials containing cellulose, such as wallboard, jute, wicker, straw baskets, and other paper materials. 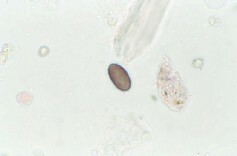 Some consider it to be allergenic although little is known. 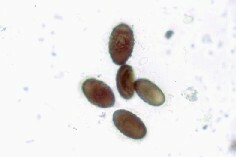 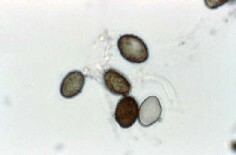 Some strains of Stachybotrys chartarum are able to produce mycotoxins. 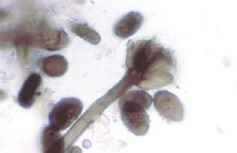 There has been a great deal of concern about the possible health effects of exposure to Stachybotrys in the national media. 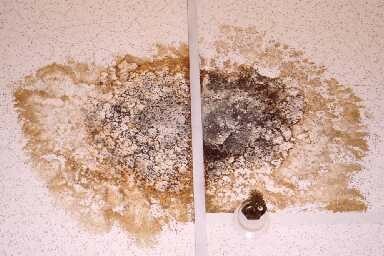 Plumbing leak on the floor above resulted in Stachybotrys growth on the ceiling tiles. 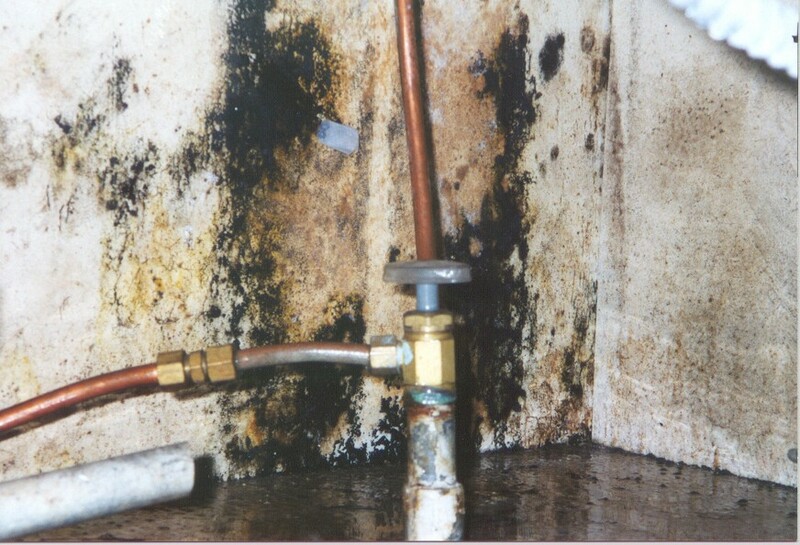 A plumbing leak under a kitchen sink resulted in the growth of several fungi including Stachybotrys.